The Bali Handara Golf & Country Club Resort, ranked by GOLF Magazine among the “Top 50 Greatest Golf Courses in the World” attracts golfers from all corners of the world to travel to Bali in order to play golf at one of Asia’s most iconic and “World-Class” golf courses. Bali Handara Golf & Country Club Resort is located in the central highlands of Bali and is nestled down inside the crater of a dormant volcano at an altitude of almost 1,200 meters (almost 4,000 feet) above sea level. 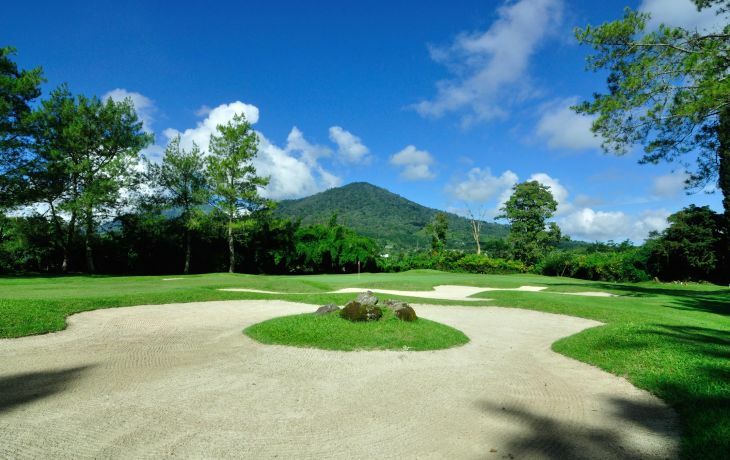 The resort is surrounded by lush green mountains, crater lakes and an equatorial rain forest that creates dramatic backdrops for approach shots into the well maintained creeping bentgrass greens.